This package contains (1) poppet valve, (1) sleeve, (1) cross-pin, (1) spring, (1) o-ring, (1) filter and (1) retainer ring. 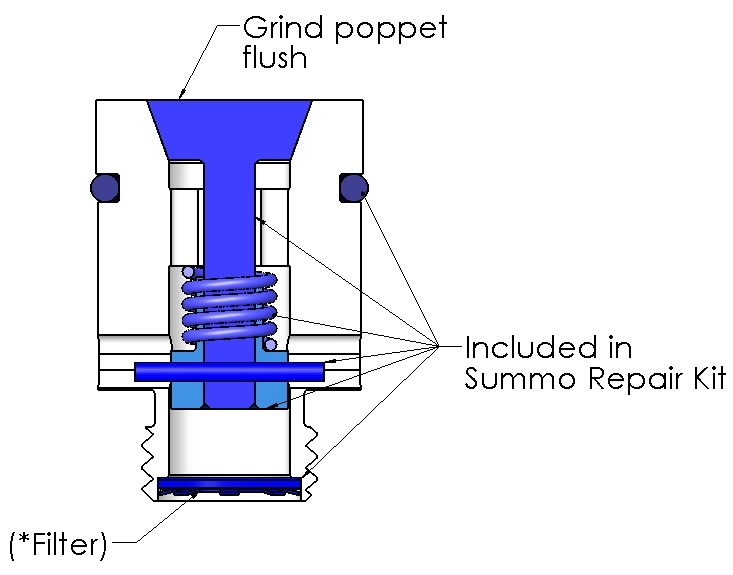 Summo Series Repair Kits work for both the SUMMO Series and SUMMO-II Series poppets. Note: The filters only fit Summo & Summo-II poppets purchased after March 1, 2016.